Tip: Don't forget to Buy Carl's Black Felt Tape for a professional-looking, contrast-boosting border (sold separately). View our Technical Specification documents below for additional information including; shipping specifications, installation guide and a comparison to Carl's other projector screen materials. * In the DIY market there is a wide range of comfort levels, skill sets and abilities. 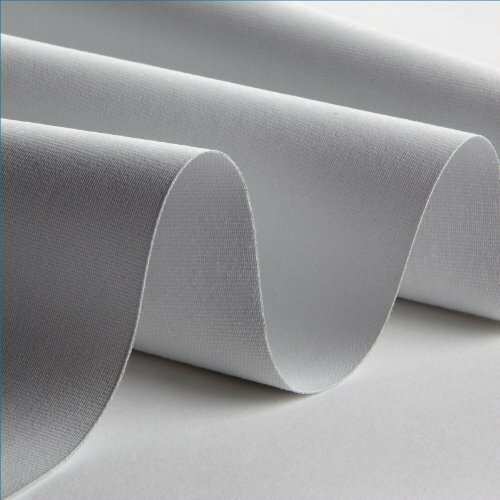 If you are at all concerned about folds and wrinkles you may want to consider ordering your material rolled, if available. Search ASIN B00K7ILL3U to see all sizes, prices and packaging options. Tension-mounting/stretching the material tight like a drum, will pull out folds and wrinkles although it may take extra time and effort to install. Ships Folded in a Box*, however select sizes have the option to ship rolled on a tube. Search ASIN B00K7ILL3U to see all sizes, prices and packaging options.